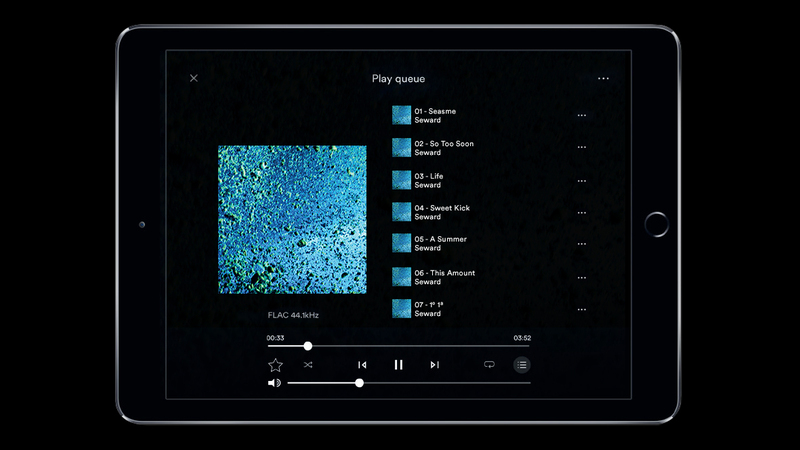 Our reference network player is quite simply the best source component we’ve ever developed. Drawing on decades of digital and analogue engineering experience, the ND 555 marries our innovative new streaming platform with classic Naim analogue technology. It features a 40-bit SHARC processor with advanced signal processing, a suspended brass sub-chassis to isolate sound-critical circuits from vibrations and the best external power supply we’ve ever made. Whether you’re listening to Bonham’s solid groove or Coltrane’s dizzying scales, the ND 555 lets the music flow with astonishing ease and uniquely engaging musicality. Partnered with Statement or 500 series amplification, we believe the ND 555 is as close to live music as it gets. ND 555 offers numerous ways to listen to your music with clarity and precision. The ND 555 is the result of over four decades of audio engineering. From our state-of-the-art streaming module to powerful, natural-sounding audio stages – every element of this network player is built on our design DNA, giving it that distinctive, captivating Naim sound. 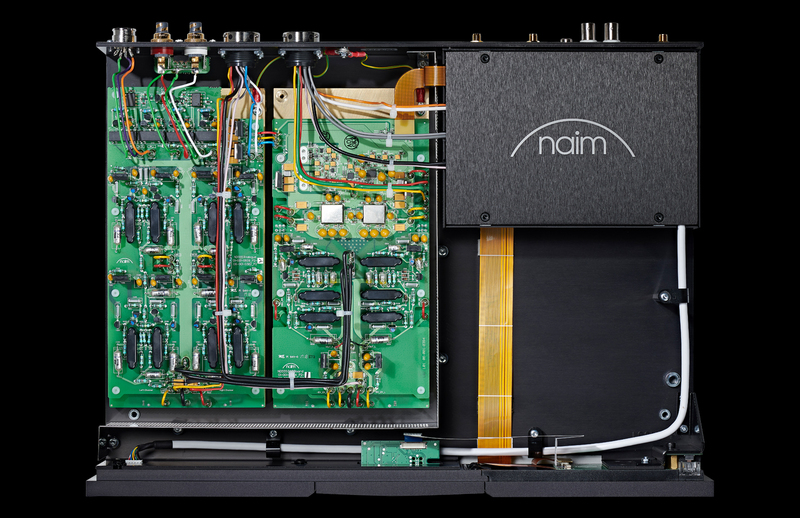 The ND 555 development process also helped us step foot into new technologies: for the first time, we’ve added low-voltage differential signalling (LVDS) to a premium Naim player. We chose LVDS because it minimises timing errors due to its fast speed and it minimises radiation thanks to its low noise. The ND 555 is bristling with innovative technology from input to output. 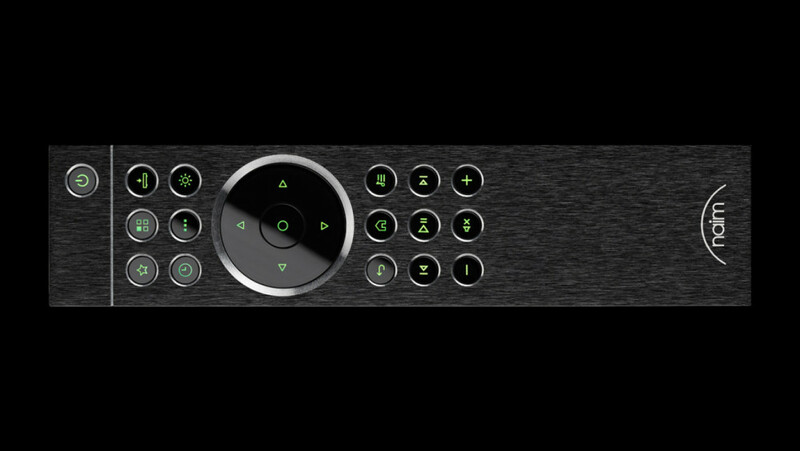 The streaming section uses the latest Naim network card featuring low-noise, high-speed LVDS to route the digital audio signal. The higher speed is capable of decoding all HD audio formats at up to 32 bits/384 kHz or DSD128. Rather than the source acting as the digital timing master, our new streaming board turns things around and allows our DAC clock to control the flow of audio data. The data is integer-over-sampled in a SHARC DSP to an incredible 40-bit accuracy and fed into the Burr-Brown® PCM1704, a true R2R ladder DAC valued for its exceptional sound quality. Naim’s renowned DR regulator technology, as used in our range of amplifiers and power supplies, makes its first appearance in a network player, providing ultra-pure DC voltage to the sensitive audio circuitry in the ND 555. The analogue stages use only high-grade through-hole components and are suspended on sprung sub-chassis with heavy brass plates to minimise the effects of microphony. There are several ways to control ND 555. The Naim App for iOS and Android gives you complete control over individual or multiple Naim products. 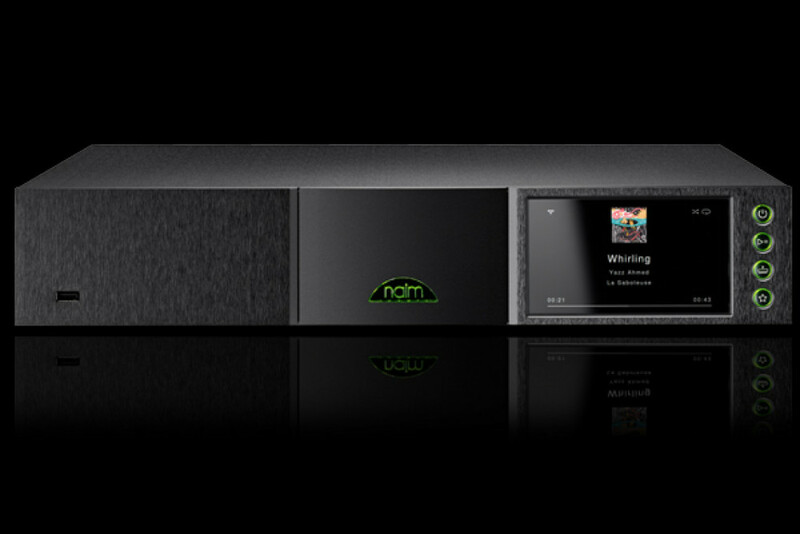 You can access all of your music including radio pre-sets, streaming services and playlists, sync several Naim players for multiroom playback or explore artist discographies and biographies. The app also controls our Uniti Core music server (so there’s no need for two separate apps) and allows you to update your system wirelessly with a single tap. For those who prefer a more tactile experience, a premium metal Zigbee® remote control is supplied. It requires no line of sight to the player, so you can take control whatever direction you’re facing. The front panel features a 5” colour display presenting album artwork as well as track information in crisp detail, and there are keys for most commonly used functions including standby and input selection. The ND 555 can be complemented with a second 555 PS DR power supply and/or a Super Lumina interconnect cable to boost audio performance. 100V, 115V or 230V; 50 or 60Hz (depending on 555 PS used). Please see https://www.naimaudio.com/product/555-ps for details.